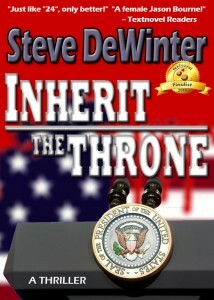 Join Steve DeWinter, author of the suspense thriller, Inherit the Throne (CreateSpace), as he virtually tours the blogosphere in June and July on his first virtual book tour with Pump Up Your Book! As a consumer of goods, and a father, I love to hear the words "Kid Friendly, Family Friendly, etc." Descriptions like these tell me that what I am about to spend time and money on will be fun for my child, my family and me. There is another "Friendly" that I would like to talk about today, and it is a term that I don't hear used very much when discussing fiction. As a reader, I want books that are "Reader Friendly". I wasn't aware that this was something I wanted because, for several decades now, the large publishing houses have been sheltering readers from unfriendly writing. I'm not talking about content, genre, or any of that subjective stuff. Everyone's personal tastes differ from each other on enough levels that what is awesome for one is awful for another. What I am referring to are the objective aspects of writing. What we were taught in school immediately after learning to hold a pencil between our tiny eager fingers. I'm talking about the basics. I'm talking about spelling, punctuation and grammar. The brain glides effortlessly over words it recognizes. But hit a misspelled word, and the reader is violently thrown out of the story world. The illusion that the author has so carefully crafted over the preceding pages is gone in an instant. And the pages directly after the misspelling were not designed to create the illusion, only sustain it. And this is a huge problem for writers and for readers. I am an unapologetic self-published author, but I made a grave mistake when I failed to take the necessary steps to ensure that I published a "Reader Friendly" book. I convinced myself that it was okay. I wasn't supported by a major publisher who had stores of cash to pay the best editor in the business to go over my book. I was just a little self-publishing author. I had read through my book and located as many as I (and spellchecker) could find. The readers would forgive me for those that I missed. But once a reader pointed them out, I changed my self-publishing tune very quickly. 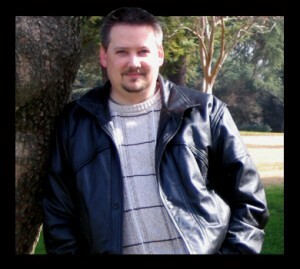 I had to stop thinking like a self-publishing author, and think like a self-publisher. A publisher would have hired an editor. So I hired an editor. And from this point forward, love them or hate them, my books are "Reader Friendly."